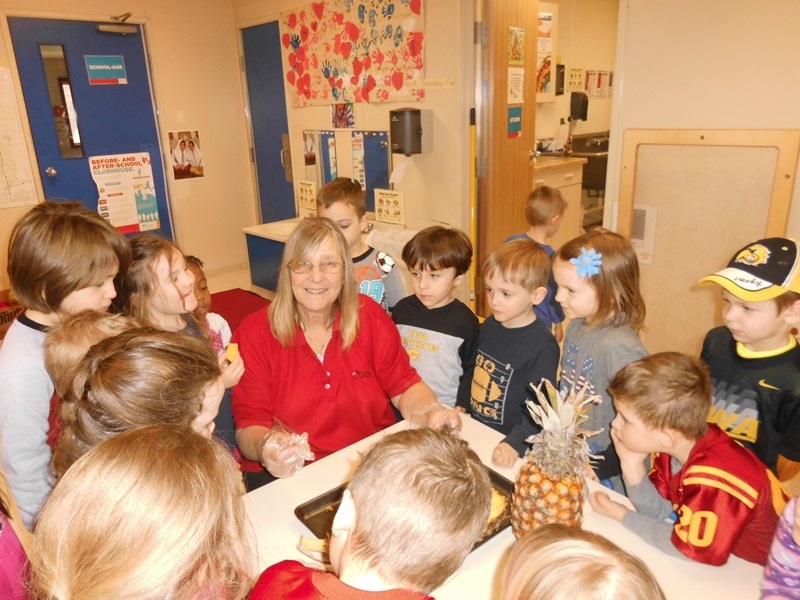 Ms. Sandy is the Lead Pre-Kindergarten Teacher at our La Petite Academy in Ankeny, IA and has more than 20 years of teaching experience, including a degree in early childhood elementary education. She has been at La Petite for more than two years, and in her time here has made a lasting impact on her students. Read on to learn more about Ms. Sandy! Why did you choose a career in early childhood education, primarily as a Pre-Kindergarten teacher? Pre-K is getting children ready for school and that’s what my background is in – early childhood. So that’s what I’ve always been interested in and that’s what I’ve been working on. When there was an opening at La Petite Academy I interviewed for it and took the position! What do you find rewarding about teaching this age group? When the lights come on in the children’s eyes when they get a new concept. That is the biggest reward in the world. Can you describe some of the learning activities that take place in your classroom throughout the day? We do journaling and talk about the day, including the weather and our word for the day. Then we have some large motor skills either outside or inside, depending on what the weather is like. We read a story as a large group and then we go onto the Centers which are based around the children’s interests. For example, for Valentine’s Day we talked about friendship. We read another story in the afternoon and then we work on our Handwriting Without Tears curriculum – I was actually trained by the developer of Handwriting Without Tears! I talk to the parents each day and tell them all the wonderful things that their children did. Why do you believe that an early start to education is so important? If they don’t have that early start they’re going to fall behind really quickly when they get into school, because kindergarten today is no longer the same “kindergarten” that it was years ago. We want to be sure they have that solid foundation and know what the expectations of school will be. Without that, they’re going to be lost going into the school system. Overall, why do you love teaching at La Petite Academy? I’m here because I love working with children. I enjoy teaching and I enjoy being with children. They make me feel young and I learn from them every day.